This class was a change in pace for the class. The majority of this lecture came from an onslaught of teaching that I'd been under for the past two weeks. 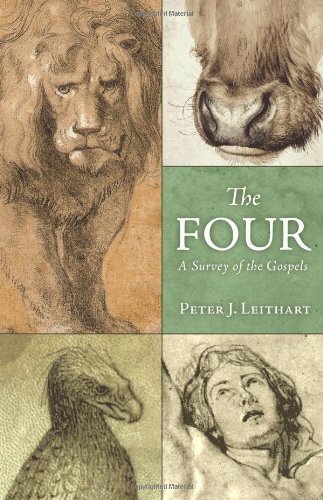 I have been reading Peter Leithart's book "The Four: A Survey of the Gospels" as well as listening to audio from James Jordan on how to read the Bible. The teaching has been nothing but a re-working of everything I know bout hermeneutics. This whole year has been a challenge for me in this department and I still have some refinement to conclude before providing a more advanced class next year. This class was all about a top down approach to the individual gospels. My major push was to establish a healthy number of themes for each gospel. A more top down approach could have been given to show the progression through the four gospels but that remains for the readers of Leithart's book. Each gospel deserved more time. Thankfully we will be using next week to look at specific events in the gospels and flesh out some of these major themes.